You can’t attract it no matter what you do. I have several blogs, and I’m working hard on generating traffic for each of my blogs, and you know what? Each blog has a different traffic strategy! But, getting to that first 25k pageviews for ANY blog is the same. I’m going to share with you the steps and tips to get your new blog to 25k pageviews. Let me preface this by saying, this isn’t a 100% strategy that will automatically work. It will, however, give you a foundation to work from and tailor it to your blog, brand, audience, and content. I LOVE blogging. I love writing. Maybe that’s why I get paid to blog! 🙂 I know the value content has on getting traffic. I write blog posts for my clients to help them rank for certain topics, generate leads and get their blog out there. And many of my clients post daily or weekly. You may have heard from other bloggers or seen from other bloggers that traffic isn’t based on churning out content. I have proven multiple times that when I post consistently – every day for a set time or twice a week for a set time – I boost my pageviews the following month. And this just makes sense. 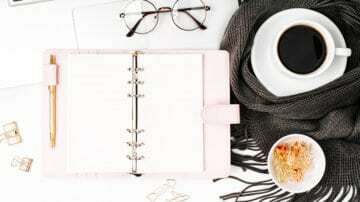 The more blog posts you have, the more pages you have on your blog, which means the more pageviews you can have when people come to your blog. That’s why you see from established bloggers that they don’t create a blog post for months. They’ve been blogging for 8 years and have hundreds and hundreds of blog posts. Those pageviews are giving them tons of traffic. But, I bet you’re screaming at me right now saying, Elna, I’m a mom with a baby and a 15-month-old. My husband works the night shift, and I have no time to blog except at night. And at night I’m exhausted. Whenever I have time to work on my blog, my 15-month-old starts clawing me wanting me to play, and my baby isn’t napping. How can I blog at all with little ones? I only blogged when it was nap time. I was diligent on my twins being on the same schedule from the day they were born (eating, sleeping and even pooping at times!). Work on naps for both your children or at least quiet time. A pack-n-play can do wonders for 30 minutes of blogging time. Batch your tasks. When you have a chunk of time, work on ONE task. This might mean block one: think of 4 blog post ideas, block two: think of 4 blog outlines, block three: write a draft for one blog post, block 4: continue to write that draft until it’s done. Use the Pomodoro technique. This is a pattern of 25 minutes of productivity with a 5 or 10-minute break. Set your timer for 25 minutes and during that time create the pin graphics for your four posts. Give your little ones a messy activity. This can occupy them for hours! Really it will! Don’t worry if your blog posts aren’t perfect. I can bet you 100% all my blog posts have grammar errors in them. Just today I realized my Facebook image I’ve been promoting had a HUGE spelling error! And yes, I know the irony of all this since I am a professional writer! Give yourself a deadline. This can help you BIG time. Give yourself a deadline for writing that blog post or all those 4 blog posts. You will feel amazing when you accomplish your goal. Try posting at least weekly, but if you can, try twice a week and if you want to challenge yourself, try every day for 5 days or 10 days straight. Your posts can’t be short and “fluff.” Your posts do have to have value for the visitors that read your content. I find creating list posts the easiest and fastest way to write a blog post and provide immense value. Use Pinterest to see what is popular in your niche to get some ideas for list posts. You can boost the value of your post also by adding video to them. This can also help you when you don’t have time to write but have time to create a quick 5 minute Facebook Live. Google loves when a blog has consistent fresh content. They don’t like if a blogger pumps out 10 posts right away and then neglects their blog for 3 months. So, it’s better to be somewhat consistent (3 times a month) than not at all. I listen to music. It’s proven to increase your focus and productivity. I often listen to something upbeat while I’m blogging like I’m doing right now. I take a typing test. This is a challenge for me, and I like to try to beat my last time. It also gets my creativity and motivation up! I use Key Hero to take practice typing tests. This helps me write faster to churn out content faster. Create outlines. Sometimes an idea just occurs in my head when I’m in the shower or cooking. I have to write my idea on paper, and then I go to my laptop to write my idea down and create a quick outline. This makes the blog post REAL and accomplishable. Writing begets writing. The act of writing every day helps you become a better and faster writer. This helps you pump out more content, be more consistent and give you more creative juices. But, I know there will be times when life gets in the way. For me, if I’m super stressed out, I have no desire to create content. I drag my feet for days. So for me, I have to step away. I play with my kids, I laugh, I dance, and I have fun. After a good laugh and non-blogging time, I’m ready to blog. So, you can blog every day for a month and still not reach 25k pageviews. And it’s not because you don’t have killer content or that you’re not promoting it. The real reason is that you don’t have a strategy for promoting your content. It’s all willy-nilly. When I started Twins Mommy, I created a plan to grow my blog. And in the first month, I reached 4k pageviews. Each month I grew until I reached 25k pageviews seven months in. I suggest you put your focus on one or two social media platforms. For me, it was Facebook and Pinterest. I found I got the biggest engagement with these platforms. You might find it’s Instagram and YouTube. Whatever it is, figure out the platforms that will attract the right readers to your blog. And with your strategy, you have to be consistent on it. That’s why I automate a lot of my promotion. I use Tailwind for Pinterest and Buffer for my Facebook groups. My strategy has changed lately, but I still rely on automation to help me push my content out there when I can’t. It’s important after the first few months of blogging that you go into your Google Analytics and check your most popular posts. This can give you some direction on what your audience is craving. Right now, my post on lactation recipes is my most popular. As a new blogger, I would take your top 3 or 5 posts and write more posts on those topics – which I am planning on doing. Sounds easy, but how do you know what’s popular with your audience? For me, I look at Google Analytics, my blog comments and what is popular on my Pinterest feed and trending sections. For example, food and frugal tips are popular for my Smart Mom Ideas audience. So, I’m leaning into those topics and creating blog posts around those popular topics. I could be wrong of course if I lean too much into Pinterest. For example, I noticed that beachy farmhouse ideas was trending on Pinterest. So I scrambled and created a post on that. But, it didn’t do well. But, that doesn’t mean it won’t do well next year or sometime later in the year when this topic may pick up again. So, even though I say write popular content, don’t rely on that for every blog post you create. I would try it out with one or two and see what happens. Trust your Google Analytics much more than what Pinterest is showing you! Those are the five tips you need to do as a new blogger to reach your first 25k pageviews. Don’t worry if it takes you several months – it took me 7 months – but it will happen if you are consistent and providing value to your audience! Have fun blogging and please share this post! Now tell me, what is your plan for growing your blog? I want to hear your plan! I ended up here from tailwind, actually and your blog is amazing and so helpful! Seriously, thanks for writing such clear and helpful tips. A ton of blogs that say “how to do xxxx to reach this” usually have such vague tips that they’re not helpful at all. I’ve already been clicking around and will be bookmarking you! Thanks so much! You’re welcome! So glad you found this post and enjoyed it 🙂 Good luck getting to your first 25k pageviews on your new blog! I really appreciated these tips, Elna! I can’t imagine doing what you do with twins. We just have one little girl at home and that’s a handful in its self! I love the thought of doing more than one post per week… I think your tips on breaking the task down into more manageable pieces will help. Thank You! Ha thanks! My twins are in school now so that made it a ton easier to build my blog! When they were home it was more of a challenge but I just stayed up late 🙂 Thanks for stopping by! These are some great ideas. I use batching now and i didnt even think about it!!! Great read I can wait to get my traffic to increase for my blog. That’s awesome! Yes, I LOVE batching, but my favorite is repurposing! I can’t wait to share my tactics in the Mom to Mompreneur Facebook group! Aww! Thank you so much! 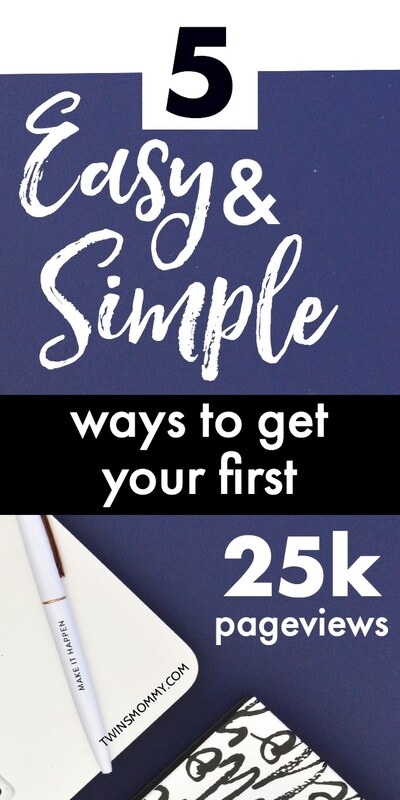 So happy this post about gaining your first 25k pageviews resonated with you. Yes, raising twins was and still is a challenge but I’m having soo much fun! And now that they attend school, so many new opportunities are unfolding for me! Thanks for stopping by! Great ideas! I have really found the batching to be beneficial and efficient. Thanks for sharing your journey! That’s awesome! 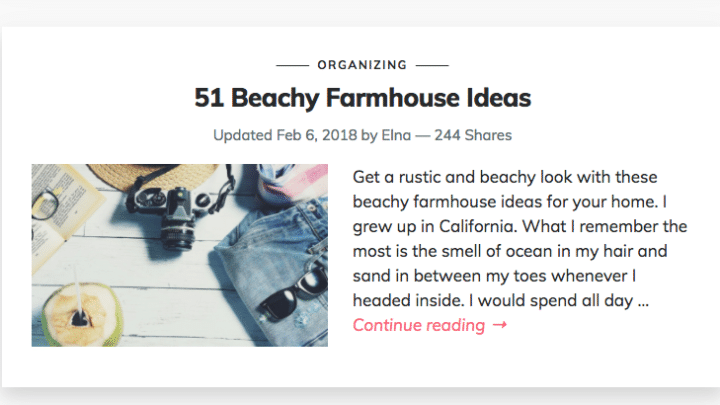 So glad to hear that batching your blogging tasks is helping you grow your blog 🙂 Yay! Really motivating post thank you Elna! Have to try the 5 posts in a row challenge! You’re welcome! Yes, posting every day for a set time can help grow pageviews for sure! Good luck! I have found your blog posts so helpful. I just launched by new blog, and I’ve been reading everything I can from you! I also enjoy your You Tube! Thank you so much! So happy you found some great tips on my blog! I’m always here to help new bloggers!!! Awesome tips, Elna! I love the idea of batching tasks and using the Pomodoro technique. My blog is new and I get easily overwhelmed by my to do list. Implementing those will help a bunch. I know what you mean. If I know I have like a million to-do tasks, I shut down. I have to take bite-sized tasks a day to feel and be accomplished! No kids? You should have weeks to write! Ha. jk!! I was super busy before I had twins so finding time to blog is a challenge, kids or no kids. That’s good you are writing consistently every week. Try adding one more post. So post twice a week. This is perfect for the fist 6-8 months of your blog. Don’t try to blog every day for a long stretch of time. This won’t help you grow your audience and it’s hard on you. I would blog twice a week for a few months and then do a 5-12 day stint of writing every day. Good luck! Great advice! It’s so important to know that getting traffic will take time and effort to do, but if you keep at it, you will pull it off! Thanks so much! Yes, blog traffic takes time, but you can see the effect in one month as least! This is perfect Elna!!! Your post are so good! You are teaching me lots! Thank for ya! I love reading your posts because every time i learn something new.Easy tricks i can simply implement on my blog. I really needed this. Thanks so much! 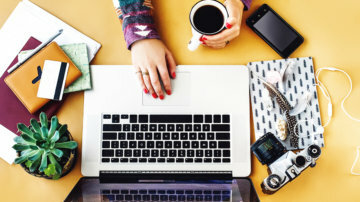 Glad you learned some tips to grow your blog traffic! I got a lot of ideas from here. Thank you so much! Consistency I guess is my main struggle. I guess I should focus more on content and less behind the scenes. Yes, being consistent is such a hard thing for us mamas! 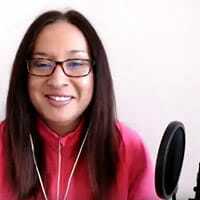 But, Google favors consistent blogs and when you’re new that’s your currency until you have other metrics and don’t have to be as consistent! Thank you for these tips! I LOVE that you shared about your spelling error! It made me feel so much better about my mistakes!! I heard someone else say, “done is better than perfect.” I am definitely going to be doing some batching activities this week and try to post more! Thanks again! Ha! Yes, I totally make a ton of spelling mistakes because I’m whipping out these posts fast or comments fast and my twins are probably getting into trouble and I’m busy! But, that’s okay. I can go back later and fix those mistakes. The point is to get your content out there! These are such great tips, thanks for sharing them. We are going to try the posting every day strategy for our blog next week. We are doing 8 posts about blogging in 8 days and hope it will lead to a nice boost in traffic. That’s awesome! You go mama! You’re welcome to follow me, mom or not! I welcome all new subscribers and followers 🙂 For your question, you can still promote your content if it’s old! When I first decided to start blogging, I spent ages choosing a website platform, branding my website, and planning posts. But I completely forgot to think about how I’d actually get anyone to visit my website! I sure wish I’d had this post to work from. I definitely agree that posting consistently, day after day for a short period if possible is a great way to boost traffic. I’ve already tried a blogathon for 5 days – inspired by your 12 day Pinterest series. And I hope to do another one soon – it’s a great driver of traffic. Thanks so much! Yes, in the beginning we all get hung up on the silly things like your colors or your logo design! With each new blog I create, I get better and better at that! Good luck on your next blog-a-thon!